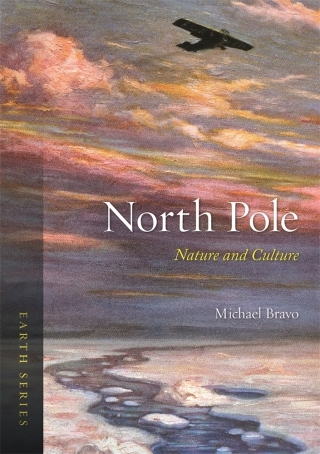 In North Pole, Michael Bravo explains how visions of the North Pole have been supremely important to the world’s cultures and political leaders, from Alexander the Great to neo-Hindu nationalists. Tracing poles and polarity back to sacred ancient civilizations, this book explores how the idea of a North Pole has given rise to utopias, satires, fantasies, paradoxes and nationalist ideologies, from the Renaissance to the Third Reich. The Victorian conceit of the polar regions as a vast empty wilderness, and the preserve of white males battling against the elements, was far from the only polar vision. Michael Bravo shows an alternative set of pictures, of a habitable Arctic criss-crossed by densely connected networks of Inuit routes, rich and dense in cultural meanings. 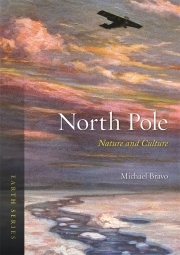 In Western and Eastern cultures, theories of a sacred North Pole abound. Visions of paradise and a lost Eden have mingled freely with the imperial visions of Europe and the United States. Forebodings of failure and catastrophe have been companions to tales of conquest and redemption. Michael Bravo shows that visions of a sacred or living pole can help humanity understand its twenty-first-century predicament, but only by understanding the pole’s deeper history. Michael Bravo is Senior Lecturer at the University of Cambridge, a Fellow of Downing College, and Head of Circumpolar History and Public Policy Research at the Scott Polar Research Institute. He is the author of Narrating the Arctic (2002) and Arctic Geopolitics and Autonomy (2010).